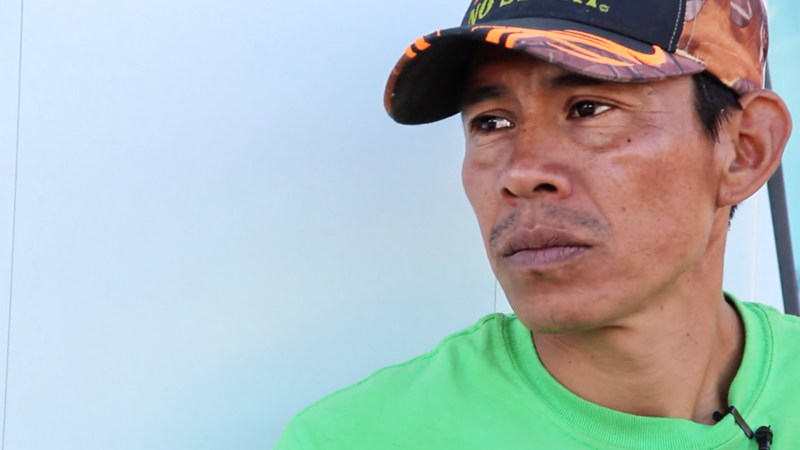 Brigido is a proud father, a loving husband, and a diligent fieldworker. He and his family move with the crop seasons, spending winter and spring in Florida picking strawberries and summer and autumn in Alabama picking tomatoes. Six or seven days a week he rises before dawn to drive to the tomato field where he works. Paid less than a dollar per box of tomatoes, he will often work eight to twelve hours without stopping for a meal — or a complaint. This, after all, is one of the many sacrifices he is willing to make so that his children can have the opportunities he never did — for a good education, for a better job, for a stable home life. Everything he does is for the family he loves.